When you are prepared and knowledgeable about the Tucson land you own, you will be able to answer any questions that come up. The first impression you make with your potential buyer is imperative, so make sure you know what you are talking about! What can be built on the land? How is the soil? Is it in a flood zone? Can it be divided? Are there building or environmental restrictions? There are many questions buyers will throw at you, make sure you have all of your information ahead of time. 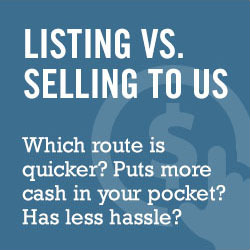 When selling a house, it is typically pretty easy to determine your target market. A land sale has many other variables. A house is a tangible structure, while a piece of land often requires a bit of imagination. If the land is being sold with the intent to develop, you will need to help potential buyers envision what might be. Who would want your land and why? The market for land is less active than that of houses, so you will need to be smart and creative when marketing land for sale in Tucson.